This year has been a rollercoaster ride for one lovely Costa Rican. In January he found himself in a shelter after an attack by a gang of teens which left him severely mutilated. Shortly afterwards he hit the local headlines, touching readers’ hearts so deeply that they started a crowdfunding campaign on social networks to get him a prosthesis. Meet Grecia, the hero of this story, who’ll soon have a brand new 3D printed beak. To help Grecia, now resident of a local animal rescue center ZooAve, recover the missing part of his beak, four local 3D tech companies, including Ewa Corp, Elementos 3D, Publicidad Web and Grupo SG, a distributor of Artec 3D and 3D Systems, joined their efforts. As his wounds healed up, Grecia had his beak scanned by Grupo SG in mid-March. 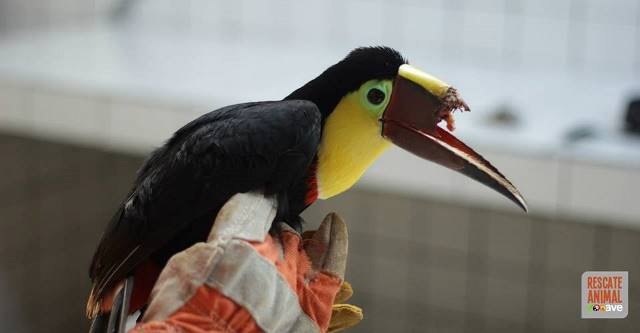 Since it was impossible to predict the toucan’s reaction to being scanned, one option was to anaesthetize him, but Carmen Soto, the ZooAve vet supervising the development of the prosthetic beak, recommended against it. Ultimately, it was decided to fasten Grecia in a way that would make him comfortable and relaxed enough to stay still for 10 minutes so he could be scanned without undergoing any extra stress. 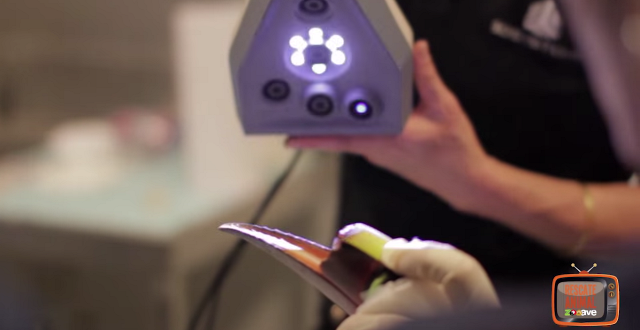 The job turned out to be easier than it was expected thanks to Artec Spider, which captures the most intricate details even if the object moves about a little, and there was no need to anesthetize Grecia for the scanning session. He actually seemed to be trying to make the job as easy as possible – he was very calm during the scanning session, and Spider produced a high definition 3D image of the stump of the beak’s upper part, providing the geometrical data required for making the prosthesis. Now the 3D image will be handled by 3D modelers from EwaCorp and the Elementos 3D printing company. The team will need to test different materials and designs to ensure that the prosthesis makes a perfect fit without hurting the stump. The plan is to print out a few prototypes of the missing part and the stump to see how they fit together. To fix one to the other, the team will most likely have to use some screws since any type of adhesive with chemical components would probably be rejected by the toucan’s organism. The new beak should enable Grecia to eat by himself, while right now he’s mainly fed by the ZooAve staff, consuming very little food on his own. The prosthesis has to be very durable and light-weight and must ensure thermal regulation, similar to a natural healthy beak, which is basically a thin wall of keratin encasing an interior of spongy bone. The greatest challenge is that the toucan is still growing and may need a new prosthesis in a few months’ time. So let’s keep our fingers crossed for Grecia and follow the story – stay tuned for updates. Artec3D scanners help an injured alligator a new tail and chance in life. Dr. Ken Stewart, of the Royal Hospital for Sick Children in Edinburgh, uses Artec Spider to capture the geometry of ears with precision and design implants for patients with microtia, a congenital ear condition.